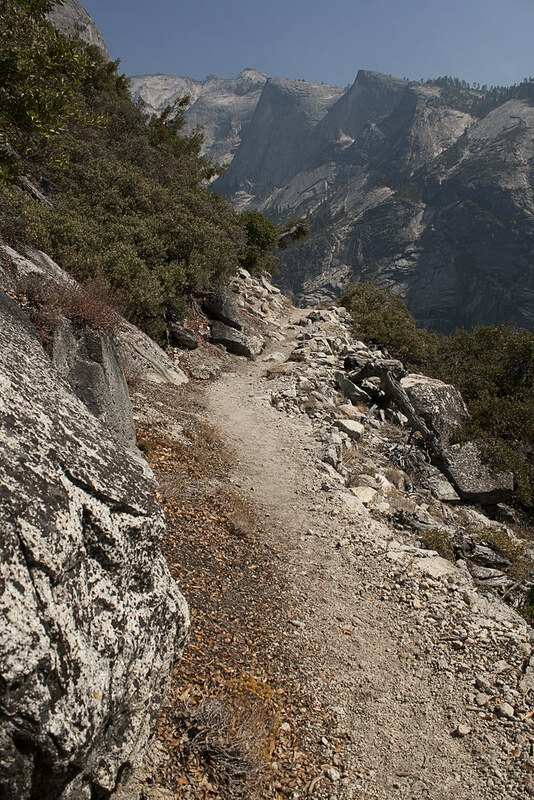 If I rearranged my life list in order of importance, The John Muir Trail, would be at the top. I've believed for some time that it must be the most beautiful trail on Earth. 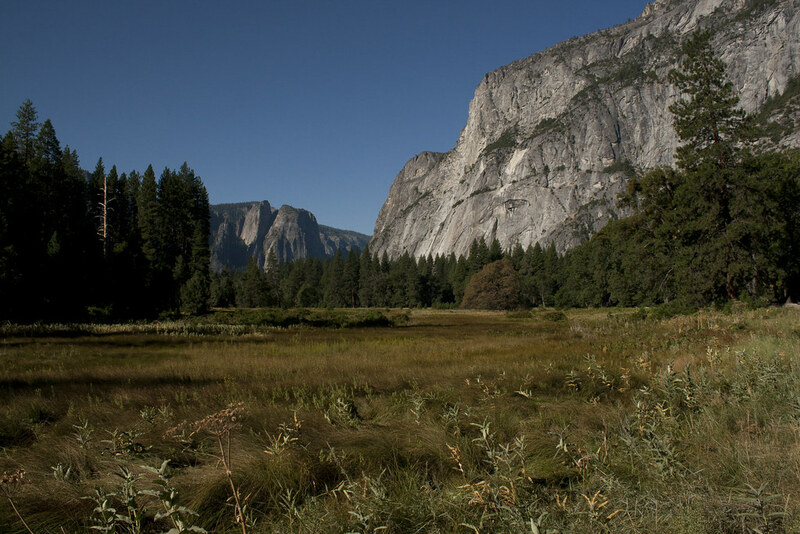 It begins by leading its followers from the Yosemite Valley, passed the infamous Half Dome, and through Tuolumne Meadows. 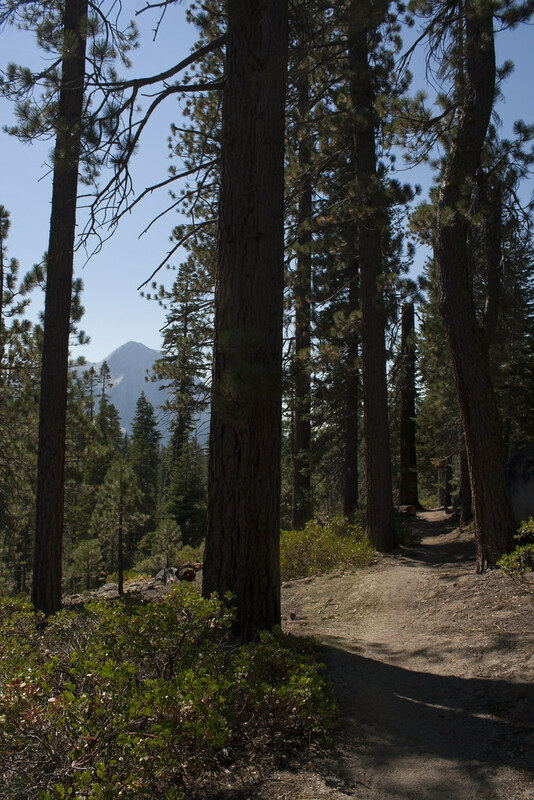 It then runs beside the main Sierra Nevada mountain range into the Inyo and Sierra national forests which includes the John Muir and Ansel Adams Wilderness Areas. 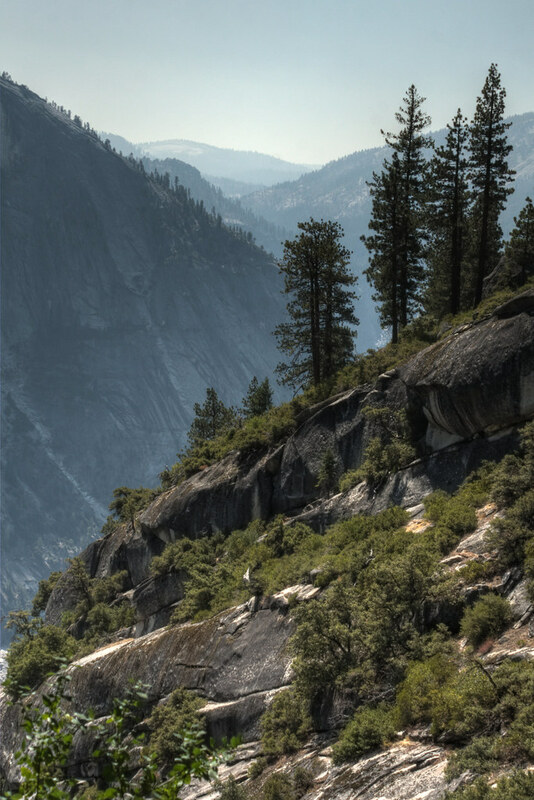 It passes through Devils Postpile National Monument, Kings Canyon National Park, and ends on the summit of Mount Whitney in Sequoia National Park, the tallest peak in the contiguous United States. I don't think I could find a trail more worthy of being the climactic, albeit temporary, ending to an incredible life-changing fifteen months on some of America's best trails. 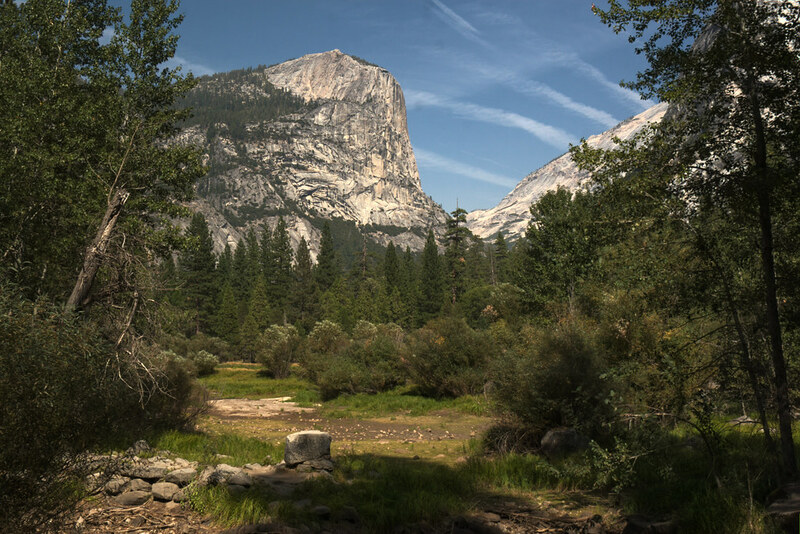 There is another reason I want to end this summer on the John Muir Trail, but it would be easier to explain by re-posting an article from my 2010 Yosemite journal. It will also give you a better understanding of how this all began. It's the story of the moment I finally put the gears in motion to live the life I've always wanted. This is an excerpt from a longer collection of posts. Some reference may not make sense unless you start from the beginning, which you can do by clicking here, but that isn't necessary. I’ve had many fleeting mentors in my life. Some I’ve never even met in person. Some I only talked to momentarily in passing or while helping them with a computer. Sometimes we live thousands of miles apart but meet briefly while hiking on the same trail. They go about their lives not realizing they carry words like chunks of flint. One day they rattle off just the right sentence, at just the right time, and a spark ignites something in me. “If only I was your age again,” he said. “If you were, if you don't mind me asking, what would you do differently?” I asked because I saw a lot of me in him. In a way I felt like I had an opportunity to ask my sixty-year-old self for direction. If I continued to work here for another thirty years, even though my passions were elsewhere, what would I want to tell my younger self? "I would go live in the mountains,” he said. I emerged from my tent. The forest was chilly in the shadows. Through the trees, I saw rays of sunlight warming bedrock by the cascades of Snow Creek. I grabbed breakfast and a water bottle then went to lay on the rock to absorb the heat. After a backpacking trip, there is often a part of me that is happy to be heading home; happy to find the absolute nearest greasy diner or to feel the heat of a much needed shower. Sometimes I daydream about falling onto my bed and sinking into that marshmallow-soft pillow. But not this time. Not even a little bit. I needed that second week. I came to the woods to cure monotony. Stopping the treatment after only a week was too early. Two nights ago, on North Dome, I looked into the valley and fantasized about eating pizza and drinking a bottle of cold beer. I didn’t even want that anymore. I wanted to drink from the stream. I wanted cold trail foods like pop tarts, trail mix, or foil packages of tuna salad. I wanted to sleep on the ground even though I’d be woken frequently from back pain. I actually wanted the burden of pack weight on my tired shoulders. I wanted to warm myself on solar-heated bedrock on a chilly morning, even though my home could be warmed with a slight turn of a thermostat dial. The sound of the gurgling stream made me crave a drink. I didn’t mess around with purifying it. I crawled to the rivulet, plunged my face in the water, and sucked it down. It was ice cold, flavorless, perfect. No aftertaste of chemicals or rubber filter hoses. I came up for a breath then went in for one more drink. I pulled back with cold water dripping down my face. I didn’t bother to dry off. I laid back on the warm bedrock and let the wind and sun do that. As I lay there, that feeling of bliss washed over me again. That co-worker would know what I’m talking about. With it came a fervent resolve to start a new chapter of my life. Not because life was bad, but because life is good. And unfortunately, very short. There isn’t enough time to do the same things again and again. I wanted a life built on a wealth of experiences, not possessions. I wanted a tensionless job over money. And contrary to the norm, I actually wanted uncertainty over security. I wanted to see if I could cherish simplicity and embrace the unknown, rather than cling to things that make my life safe and comfortable, but dull. I wondered if I would be able to maintain this sentiment when I got back home. Would the trees go back to being just trees? A safe and comfortable life has a way of convincing you that you shouldn’t change. And what did change even mean? Would I leave Indiana? Would I go back to school and start a career that would allow me to spend more time outdoors? Did I need a career? Would I use the next few months to have one life-changing adventure? I had no idea. All I could really say for sure was that I’d take down my camp for the last time on Yosemite’s North Rim. I would head down the mountain. Beyond that, who knew? And not knowing was exactly how I wanted it to be. The rut has to die, preferably before I do. The first couple of trail miles were undemanding. I stared down at my shadow deep in thought. This would be the last day, for a while, when the length of my shadow told me all I needed to know about time. Tomorrow I would be back to schedules, deadlines, and alarm clocks. 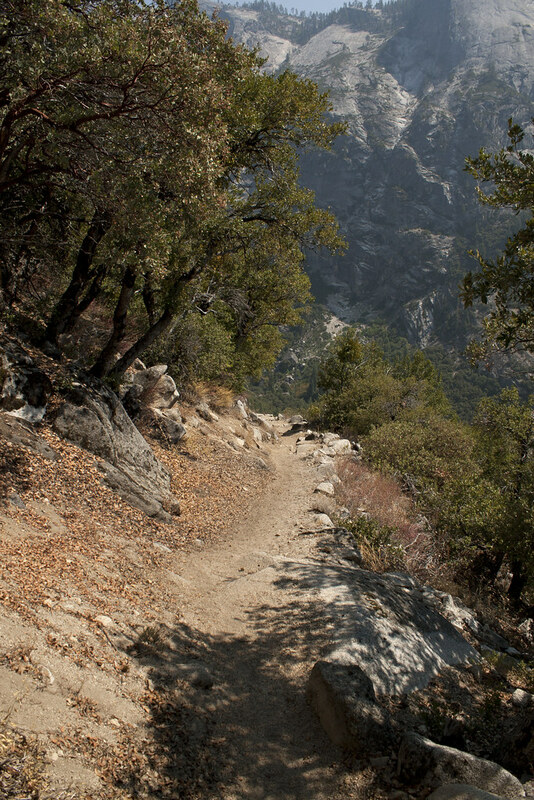 The trail turned into a three-thousand-foot descent into the valley with over two miles of switchbacks. Back and forth I hiked the narrow twisting trail. Each time I looked at the valley, I was closer to that blanket of pines I watched over all week. 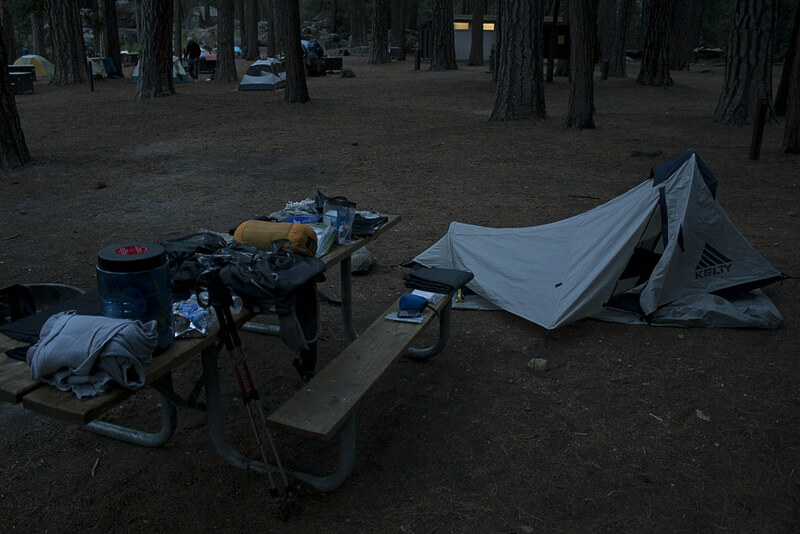 At the backpacker camp, where this hike began, I set my gear on a picnic table and sat down to rest. At the adjacent site, two guys were sitting on the top of a picnic table with their feet on the bench. They wore cotton t-shirts, flannel, and jeans, so I didn’t think they were backpackers, but just taking a break from walking around the valley. When one of the guys headed toward the restrooms, the other walked over to me. “Where you headed?” he asked and ran his fingers though his shaggy mop of curled dark hair. 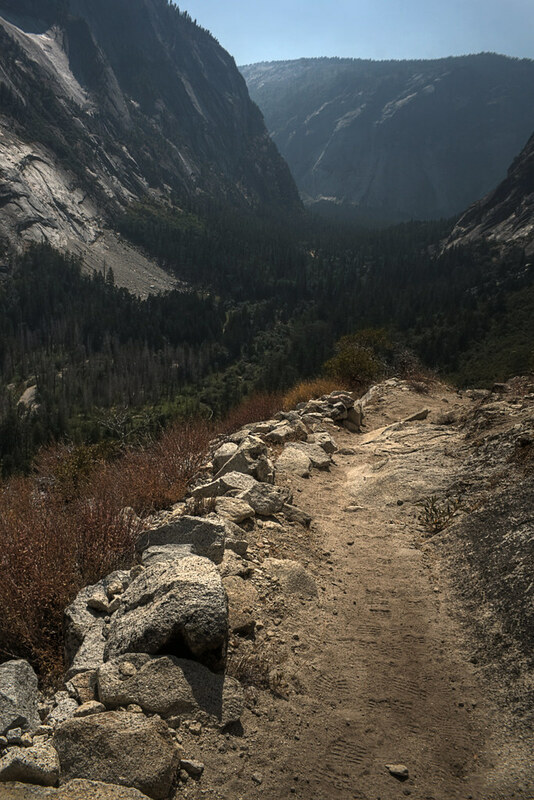 The John Muir Trail is arguably the best trail, with the most spectacular mountain scenery, on planet Earth. 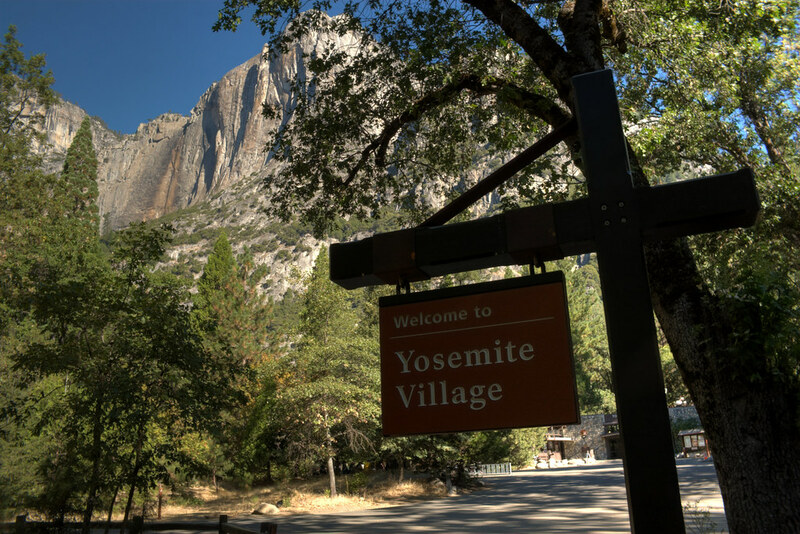 They will hike over two hundred miles through Yosemite, Kings Canyon and Sequoia National Parks, and some of the most breathtaking wilderness areas in the country. 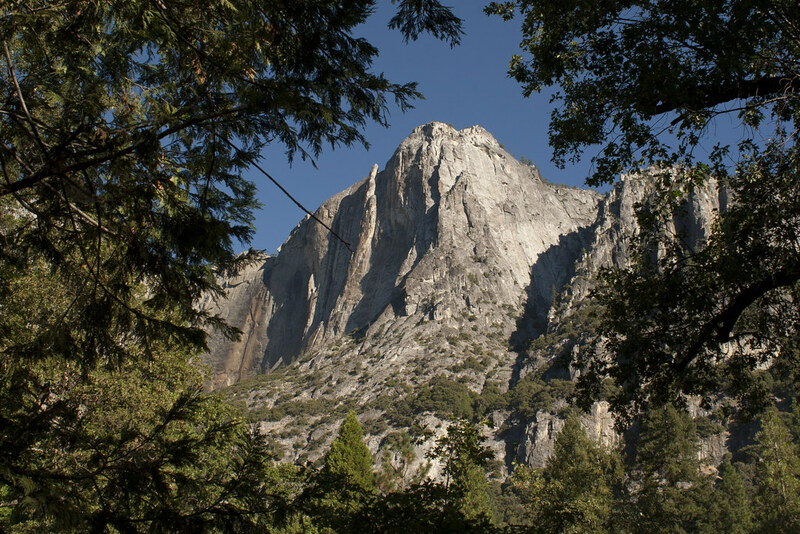 They will gaze at numerous scenes made famous by the photographer Ansel Adams and will end their journey on the summit of Mount Whitney, the tallest mountain in the contiguous United States. “You by yourself?” he asked. I told him about a few of the places I’ve hiked. When I mentioned Shenandoah, he told me about his thru-hike of the Appalachian Trail, as Shenandoah makes up 105 miles of the nearly 2,200-mile trail. “You should add the Wonderland Trail to your list,” he said. The 93-mile trail circles the base of Mount Rainier and is considered, by many, one of the best trails in the country. “It already is,” I said, knowing that only getting one week of vacation at a time limits my opportunities to complete these longer trails. “Hey, hold this.” His friend came back and handed him a metal mug. He had thick dark hair and a thick matching beard. “I need to go lay down on top of that big rock over there.” He pointed at a large round boulder ten or fifteen feet high, and ran off. “So, you’ve been living on a trail quite a bit then.” I said. “Yeah. Everyone says I should have gone to college, but this is what I want to do for now. I just asked myself, do I want to live the life I want, or the one I’m supposed to live.” This sentence has been smoldering in my brain ever since. It was like my own subconscious talking to me, the angel on one shoulder arguing with the devil on the other. They seemed like drifters, wanderers with no particular place they would call home. The kind of guys that would get a job only long enough to fund the next big trip, without worrying about savings accounts, 401ks, or promotions. But could anyone look them in the eyes and say they are wasting their youth? Actually, I can imagine many people saying to them, “You’re doing it wrong. You should be getting your degree. Don’t you know you need a career? You need to make money, so when you’re old and retired, you’ll have the time and freedom to travel.” I can imagine many people saying that, but never noticing the irony. “So, how many days are you taking to hike the John Muir?” I asked him. “Eighteen,” he said. His friend jogged back with dirt and leaves stuck to his hair and clothes. “Why don’t you come with us,” he said without considering his friends thoughts on the matter. “So, quit your job,” he said it as though it shouldn't even require any consideration. It’s funny how things happen sometimes. You decide you need to explore new opportunities and one falls in your lap almost immediately. There’s nothing magical going on. There are opportunities everywhere, I just don't notice if they aren't part of my usual routine. 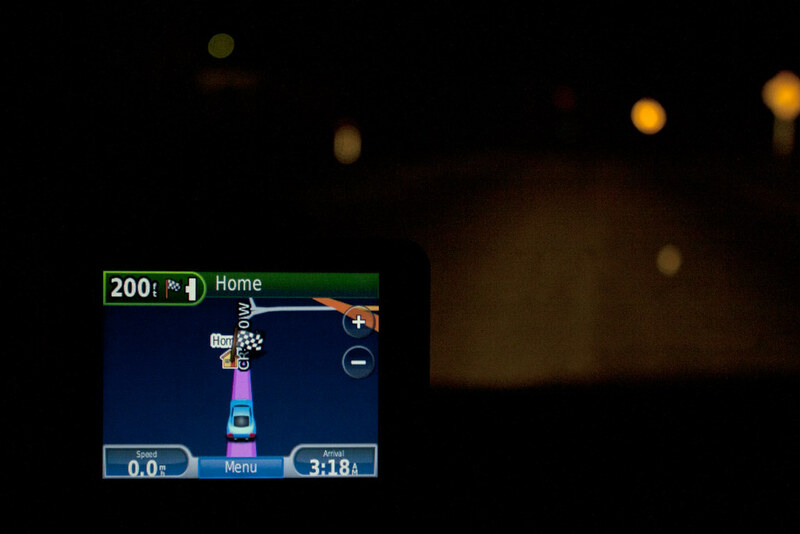 Just like how when I'm driving home, I don't really think about all the roads that don’t lead to my house. That is until a day comes when I don’t feel like going home. Sometimes I turn down a road I've never been on just to see where it leads. Unfortunately, this wasn't one of those moments. The offer didn't even seem like a possibility at first. I had responsibilities. I had people depending on me. These kinds of things required planning, right? I wasn’t even back home and my determination to dramatically shuffle up my routine was slipping. “Are you sure?” said the guy with the mop of curly hair. “We lost the third member of our crew. His partner,” he nudged toward his bearded friend. “Yeah, that was too bad. I miss her,” he said. “She had really nice eyes.” He stared down for a couple of silent seconds. “We need to go get our gear. You camping here tonight?” he asked. “Cool, we’ll see you later then." And they headed off to their car. After setting up my camp, I walked toward the village. I passed them at their parking spot, pulling out gear that was scattered in the back seat of a car with New York plates. I realized I never asked them where they were from. I’m not surprised that they drove three-thousand miles to get here, but this made me want to learn more about this, “2010 Summer Expedition Madness”. “See you later,” I said as I passed. When I got back, the campground was full of backpackers. It was too dark to see much of anything other than the light around all the campfires. 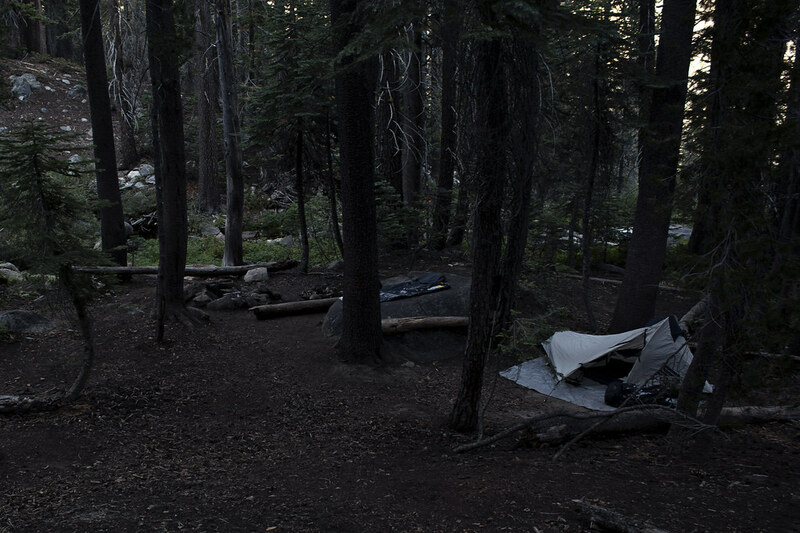 At the John Muir Trail hiker's campsite, food covered their picnic table where they sat immersed in conversation and laughing. There was a girl with them now. “He must have talked the girl ‘with nice eyes’ into going after all,” I thought. I didn’t want to bother them. I decided to have a snack and read, and then maybe head over after their meal. Later, I looked up from my book and saw one of the guys and the girl walking down the trail following circles of headlamp light on the ground. When they passed I said hello then noticed it wasn’t even them at all. Someone else must have taken their site or they decided to setup somewhere else. There was no chance of finding them in the dark. I was a little disappointed. I hadn’t convinced myself that my decision to say no to their invitation was the right one. Had I gone with them, my history would be unwritten. At home, I more or less knew the life waiting for me, and it wouldn’t be anywhere near as memorable. I climbed on top of the picnic table with my feet on the bench. 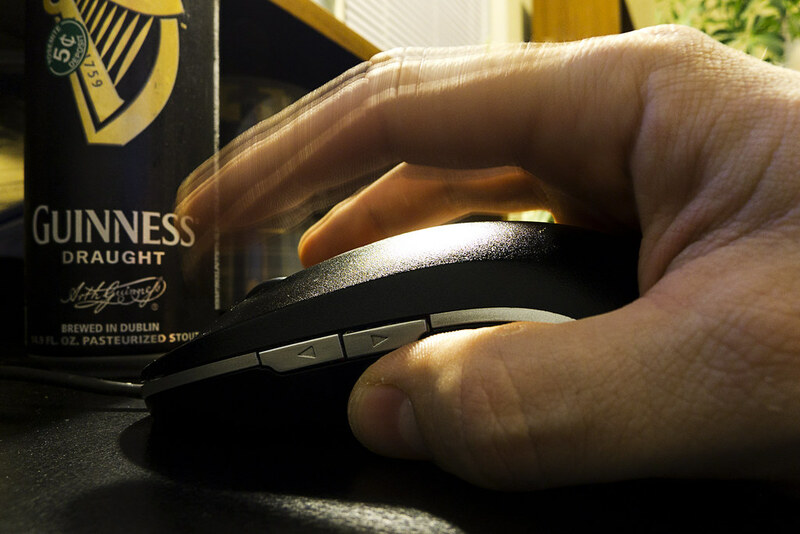 Feeling down about the missed opportunity, I knocked back two cans of Guinness. 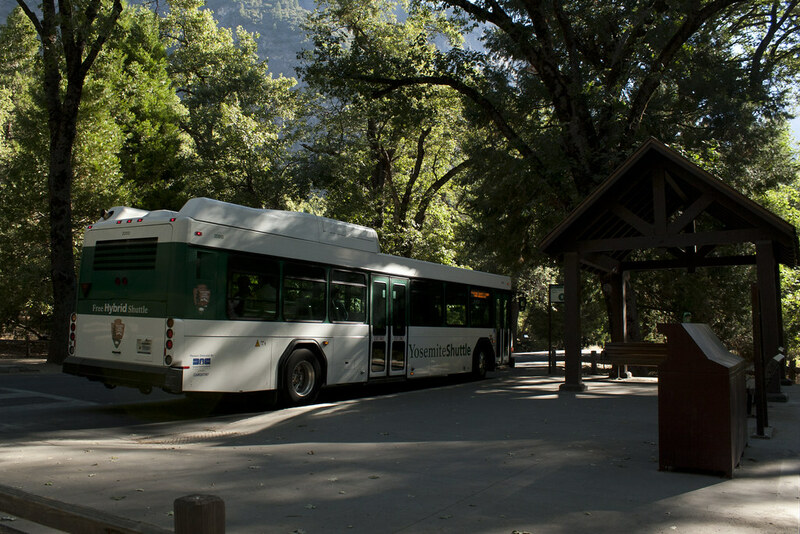 The bus zoomed out of Yosemite Valley on curvy narrow roads. I was in the back with my head against the window. Boulders and cliff walls zipped by, sometimes only a few of feet from my face. Tree branches growing over the road whacked at my eyes behind the thin pane of glass. I sat unflinching, thinking about the months that would follow. My next excursion was a long gray winter away and I was consumed by wanderlust. Returning home from my last few trips have been met with prolonged feelings of anxiety. Feelings that stem from knowing there was something I needed to do, but I was not doing it. I knew I needed to leave Indiana, at least for a while. Well, not just Indiana, everything. It’s not the first time I felt this way, but I have always managed to convince myself to take the easier path instead, to always side with the comfortable and the familiar. But no matter how good that can be, it is no substitute for adventure and the thrill of the unknown. 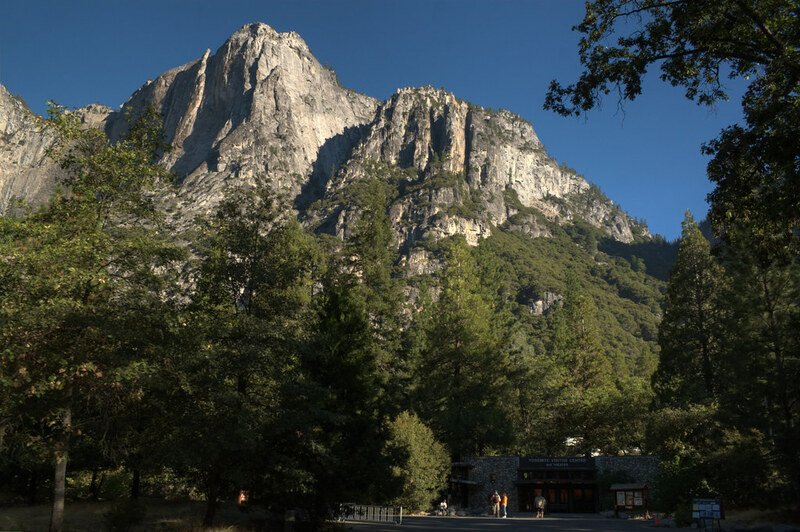 Outside the window, the granite terrain of the Yosemite Valley merged into less dramatic rolling hills, the color of California sun-bleached hair. Since the time my grandpa told me about a lawyer who quit his job to hike the Appalachian Trail, I dreamed of living my own simple nomadic life. All morning, I thought of the two hikers I met yesterday on their trip of a lifetime. They were doing it, and they seemed okay. Why did I always squelch these desires? They too were consumed by wanderlust, but they didn’t struggle with it. They ran with it. I have tried to satisfy this feeling with weeklong journeys into the woods, but rather than quench these feelings, they have only served to embolden them. The two hikers, or at least the version of them I built up in my head, weren’t waiting for some external thing to happen to set them in motion. Nor were they waiting for someone else to lead them. We approached a bus stop where a girl was sitting on the ground, next to a backpack that seemed to weigh more than she did. She jumped up and hoisted it on her back as the bus came to a stop. Her long dark hair was tossed and twisted like it only does when you’ve been living on a trail for a while. On that final morning before heading into the valley, I convinced myself that the next chapter of my life had started now. 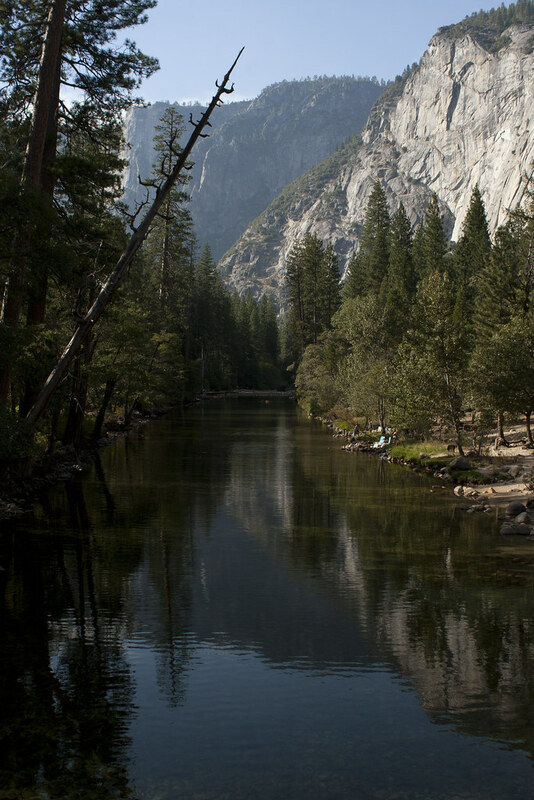 That somehow I would forever think of Yosemite as where it started. 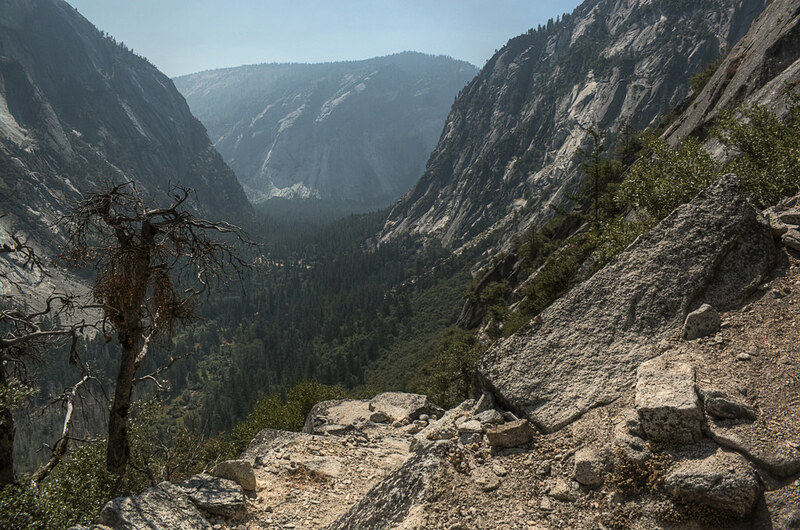 But when I turned down the invitation to hike the John Muir Trail so quickly, I wondered if anything really changed at all. 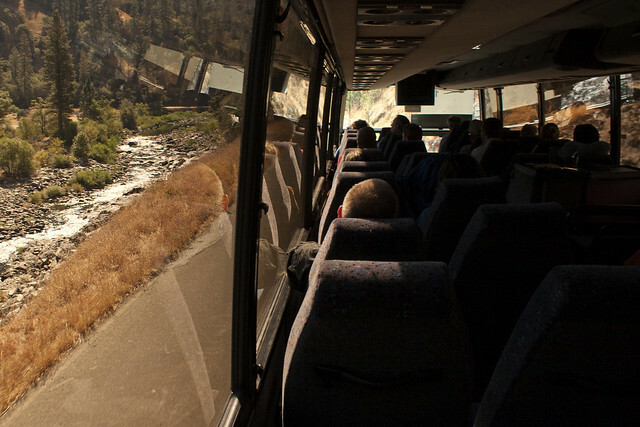 For a time, however, that regret took a back seat when she got on the bus. I knew she would sit somewhere near me. I knew I would drum up the courage to start up a conversation. And I knew that I would no longer be disappointed that I was leaving today, because I wouldn’t have met this person if I wasn’t. I now feel that I was simply struggling to not be dragged back home. I was grasping at anything, or anyone, to keep me there. The poor unsuspecting girl, you really had to feel sorry for her. I think the reason the idea of destiny or fate is so appealing to us is because we don’t want to make big decisions. It is much easier to say, “If it was meant to happen, it will happen.” It allows us to push the blame onto something outside ourselves when we fail to step outside our comfort zone and take control of our own lives. She climbed aboard and walked down the aisle, scanning for a friendly face to sit next to. She sat in the crowded front half of the bus. Okay, so maybe I was wrong. And I couldn’t just walk up to someone on a bus and start talking. What would I even say? Meanwhile, in the back of the bus with many empty seats around me, two teenage girls jabbered about their pregnancies and the baby names they were considering. They gossiped about how so-and-so in their high school was pregnant too, and how like, so crazy it is, all these babies. "I know, riiiiiight?” one said with a high-pitched kryptonite voice. There are moments like these when I wish I could just turn off my hearing. That moment of silence would have been so soothing, like when you finally turn off a loud radio that has been struggling to find a static-free station. I did the next best thing, though. I took a nap. The kind of nap that feels like it lasts for hours, but mere minutes pass by. The highest ranking nap there is. When I woke, I could see that the backpacking girl was reading a magazine. The article's headline in large bold print proclaimed that $75,000 was the cost of happiness. As though what you had to do to obtain that salary didn’t factor in at all. The very idea made me kind of angry, because it brought into question everything I confirmed on this trip about living a simple minimalist existence. Money and possessions have never been motivating goals in my life. I always felt that the true measure of success was in experiences, even though I don’t feel I’ve lived like I believe that. I want to wake up in the morning not knowing what the day will bring. I want each day to feel like collecting a new precious gem, that is beautiful and rare, instead of endlessly polishing the same one in a vain attempt to make it into something prettier or new. For some reason, I wondered what she thought about it. We arrived at the train station. I went inside and sat on a chair with my backpack on the floor between my legs. I rearranged gear to get it ready for two more airplane rides. The backpacking girl sat a few seats away, within talking distance. The course of many lives have been changed by the simplest of words: hi. But I couldn’t get it out. When the train arrived in front of the station, a part of me was relieved. Sorry, can’t talk now; I have a train to catch. I loaded my backpack on the train’s luggage rack and took a seat on the upper deck. Over a few rows of seats, I saw that tossed and twisted dark hair. Oh good, I would get another chance. Dammit. A man with a conductor hat, name tag, and walkie-talkie strolled down the aisle checking our tickets. He attached little blue tags, which displayed our arrival location above our seats. 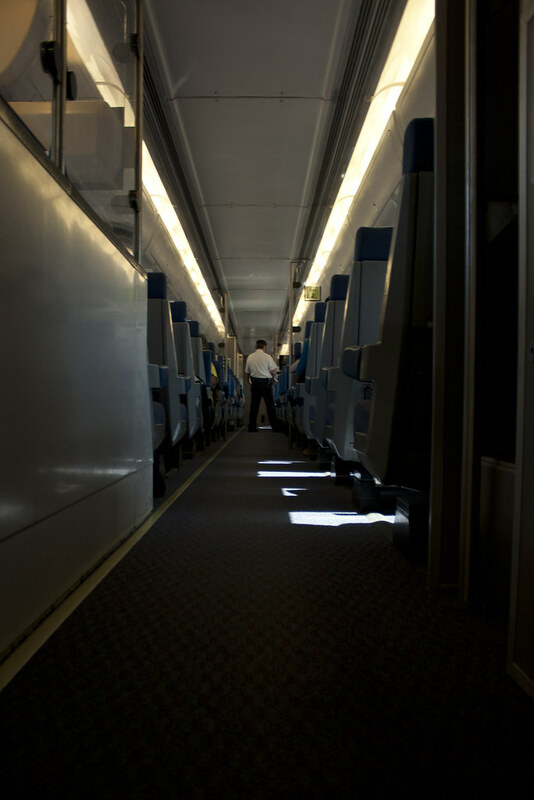 As we approached the next stop, the conductor walked by to remove the tags of those that would be getting off. I looked up from my book, that I was really only pretending to read, and saw the top of her head again, leaning over her cell phone. Another unrecoverable half hour went by. 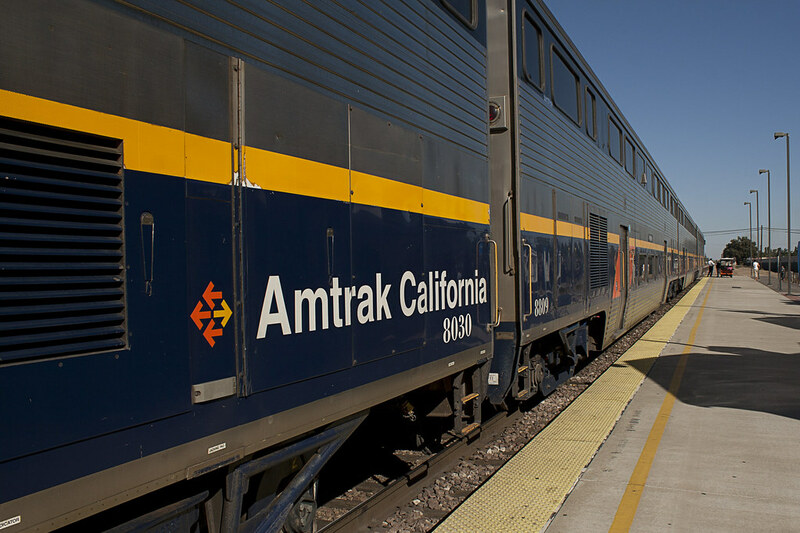 The conductor made another pass, pulling my blue tag, then the next, and the next. I watched him walk by her seat, but he passed without grabbing hers. So, she wasn’t getting off at my stop. My window of time was closing. I’m not even sure why I cared. 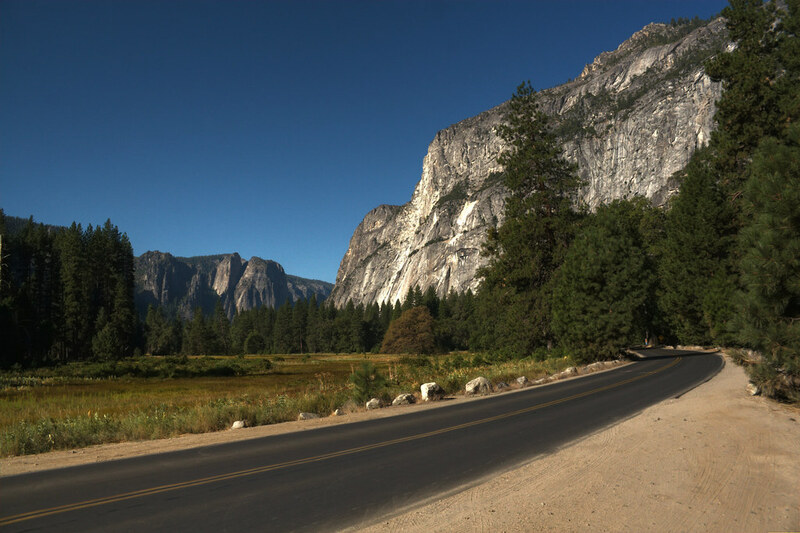 But not unlike the offer to hike the John Muir Trail, she made me see that there was an endless number of forks in the road. Brand new paths not rutted by routine. I didn’t have to be this person spending fifty weeks out of the year simply deepening the rut. It made me realize that next year could be completely unknown, and that thought was powerfully thrilling. I sat and stared at that lingering blue tag, but I did nothing. If this was fiction, I would have written the ending in a lovelier way, but it is not. It’s my life, and the dismal and often perplexing way I live it. “But, what about bears?” several said before this trip. I mocked their irrational fears, but I’m no better. My fears are no more logical than theirs. Most of us have something keeping us from another, possibly more rewarding, life. If it’s not bears, or a fear of quitting an unfulfilling job, or a particularly intense shyness, it’s something. When I was sitting on North Dome a few nights ago, having one of the best nights of my life, I made a wish on a shooting star. I wished that the way I felt at that moment never had to change and that I could always feel that joyful and free. Life is constantly offering us moments like those, but I have to face the fact that there is no destiny. There is no fate. Wishes only come true if you make them come true. On my last flight, I sat next to a stout ginger man wearing camouflage. When the seatbelt sign went off he stood to grab a camo backpack out of the overhead and pulled out a portable DVD player. I turned to rest my head on the window and stared dumbly at the flashing lights on the wing, blurred by clouds. For a moment, the sky cleared and I saw the lights from an unknown city in Middle America. Thick storm clouds, orange with the glow of city lights, hung over it like smoke-gray anvils. At every moment, lightning streaked through the clouds. It reminded me of a computer animation of firing neurons in an active human brain. Even though the city’s inhabitants probably haven’t seen the Milky Way from inside city limits in decades, above the storm clouds the sky was clear, and magnificently starry. The plane disappeared back into storm clouds. The view from my window was now the reflection of my scruffy week-in-the-woods face. I shut the shade. I looked at the portable DVD player sitting on the man’s camouflaged lap. He was watching “Over the Top”, the greatest arm wrestling/child custody movie ever created. Well, top three anyway. Eventually I started a conversation with him. We talked about the trips we just experienced. My whole life I’ve been presented with different paths to take. In nearly every instance, I’ve taken the safer route. For example, when given two opportunities to talk to a traveling stranger, I chose a guy in camo that owns “Over the Top” on DVD instead of an attractive backpacking girl. Suddenly, strong turbulence jarred the plane, stronger than I’ve ever felt before. 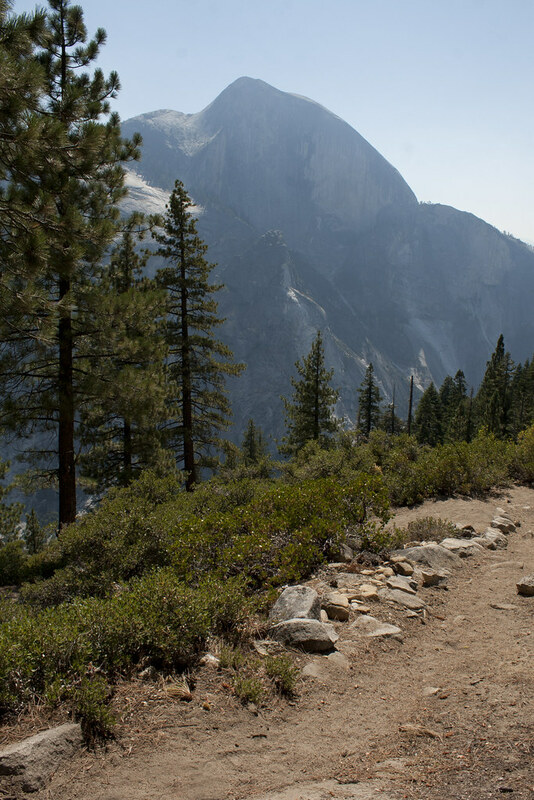 The first thing that went through my brain was how tragic it would be if the plane went down when I could have been hiking the John Muir Trail. Everyone would be screaming for their lives and I would be berating myself for thinking this was the safe option. Life is unpredictable. There are so many unknowns. You think you’re playing it safe and suddenly, your airplanes wings fall off. I looked at the flight attendants face. It was calm, and therefore, so was I. Although, thinking I’m safe is really a falsehood. I need that fear for motivation. Nobody lives forever and the fact remains that death doesn’t necessarily wait for us to have lived our lives to the fullest. When I got home, I was so tired I crashed into my bed without changing or unpacking. When I woke up, I immediately turned on the shower. I peeled off my socks and flicked them right side out. An endless cloud of dusty soil flew from them with every flick, like beating a rug on a clothesline. The smell of soil transported me back to the pine forest on Yosemite’s north rim. I turned on the space heater to warm the bathroom. 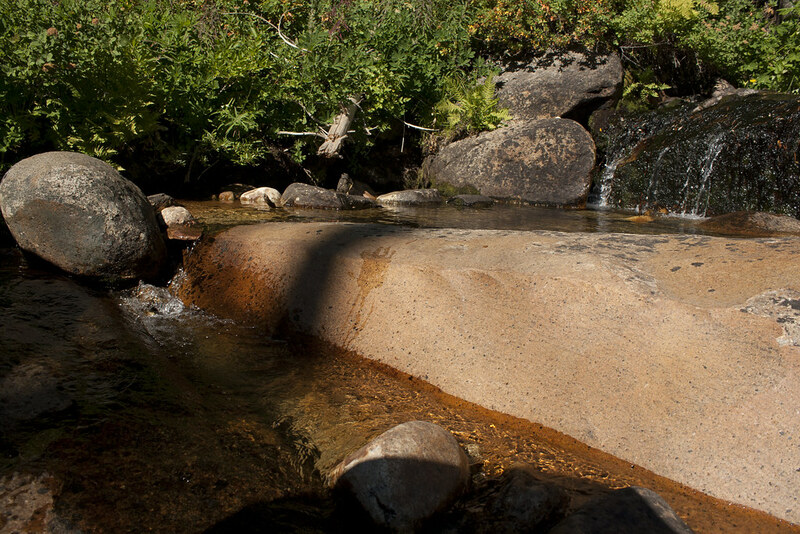 I thought about how I warmed myself by lying on a sun-drenched slab of bedrock just two mornings before. It seemed like ages ago. For a while, everything went back to normal. The next morning my alarm blared at 6:30 AM: work, stress, Indiana, boredom. The rut. My dreams of finally starting the next chapter of my life were stifled by the realization that change was hard work. I started to question again why I would even want to change things. My life is not bad; honestly it’s better than it has ever been. But if my life list has taught me anything, it’s that there is so much to experience and so little time to experience it. A safe and comfortable life is fine if that’s what suits you, but I’m not satisfied with a “safe and comfortable” life anymore. At least not right now. I think for now, I’d like to take a shot at having an “amazing” one. I have been thinking about the trillions of years that passed before I was born, and the trillions that will pass after I’m gone. I get this tiny sliver of time in between to be conscious. To experience everything that I can. It is such an incredible gift, such an astonishingly rare gift. Playing it safe is no way to spend it, because in the grand scheme of things, whether it lasts for thirty years or ninety is insignificant. What matters is that I recognize it for what it is. One chance to take advantage of it while it lasts. One chance to live an amazing life. By the time you read my next post, I will be jobless, homeless, and heading to Mount Katahdin, the northern terminus of the 2,181-mile Appalachian Trail. I’m not exactly sure what stories I will have to tell over the next few months, but then again, that’s exactly why I’m doing this. Yes, I’m finally doing this. Right now it still feels like a dream that I will soon wake up from.